The Cassini space probe recently made another close flyby of Saturn's strange, warped moon. 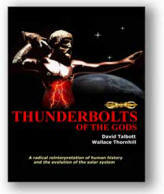 Do these images confirm its electrical attributes? 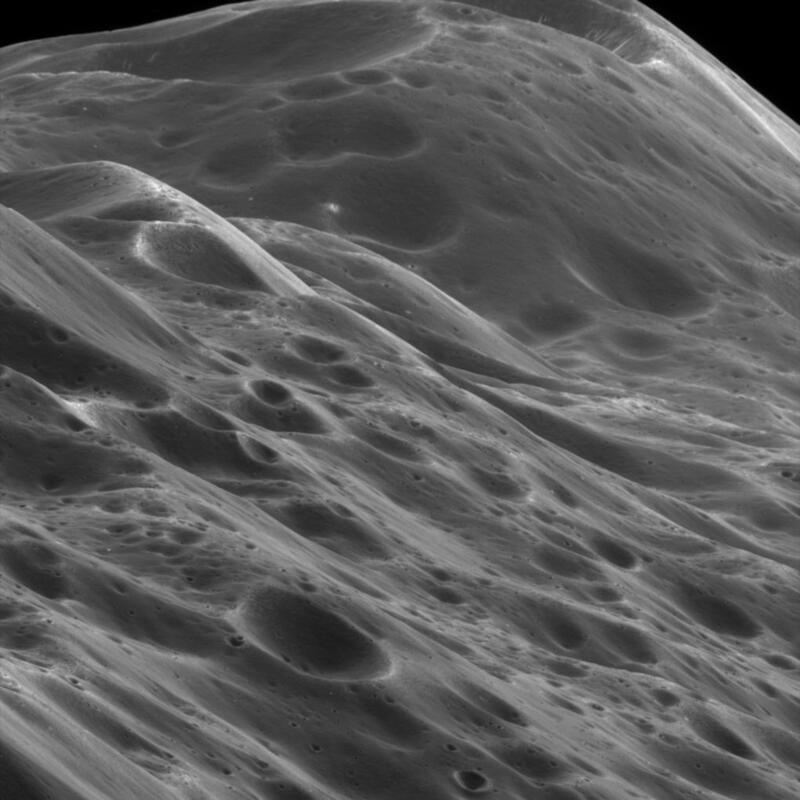 The closest images of Iapetus ever taken were recently sent to Earth from the Saturnian system. Cassini flew to within 5000 kilometers of its target, resolving features as small as ten meters. 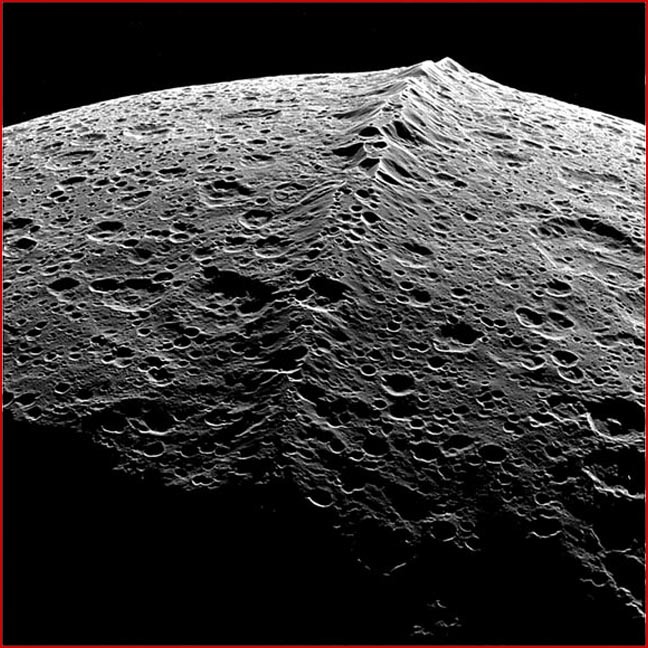 In our previous Thunderbolts Picture of the Day articles about this enigmatic moon, the resemblance to some earthly formations was noted. Specifically, the physical appearance of Moqui Marbles found in the deserts of Utah. The striking similarity can be seen in the equatorial ridges that are visible on both - stone balls as big as small eggs and a moon hundreds of kilometers in diameter. 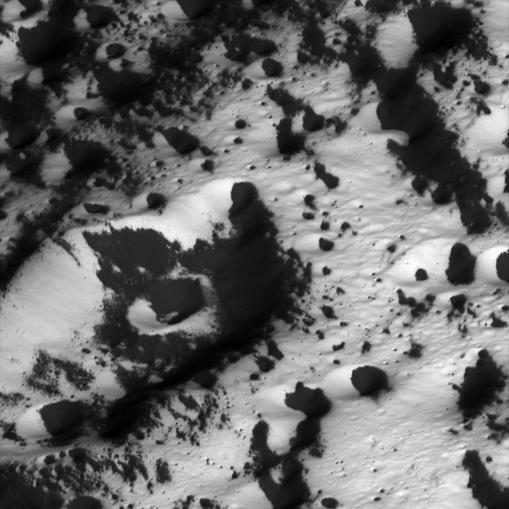 Some places on Iapetus are coated with what appears to be frost, covering many kilometers. The material has not been identified as actual water ice, but that has been postulated as the most likely candidate. 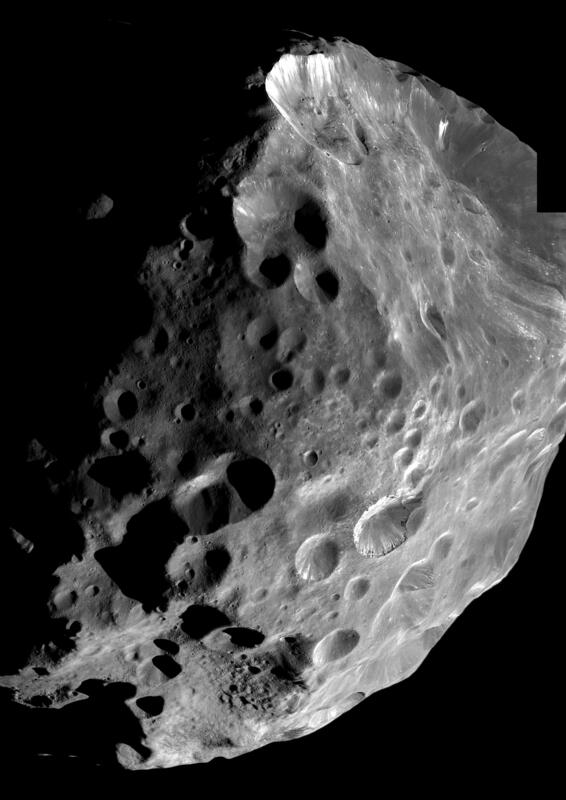 Scattered over the white background are dark splotches similar to those discovered on Hyperion and perhaps arising from the same source: Saturn's moon Phoebe, the blackest object in the solar system.